I have a Facebook Business Page – now what? You’ve created the page, but haven’t seen results. Here are a few tips that will help you increase engagement and generate results. Facebook currently has over a billion monthly users, I can assure with a modest effort and persistence you will be able to notice results. Your customers want to connect with you, they’re just waiting on you to make the first move. Make full use of all the networks that you’re associated with. This means current customers or clients, friends, family, religious affiliations, etc. 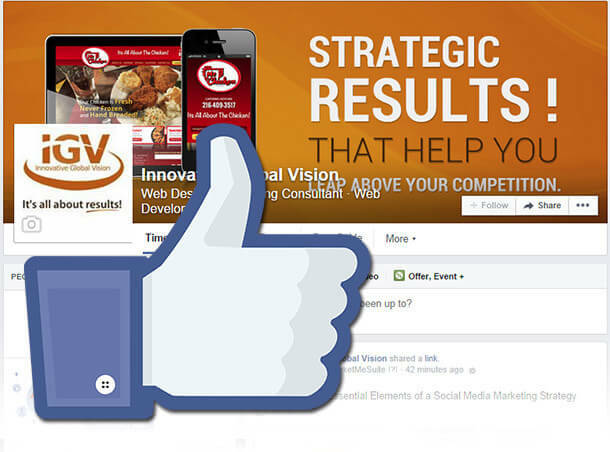 Invite those individuals to “like” your page. Even leave a comment if they’ve used your goods or services. This will aid you in forming a solid network to further build upon. Promote your Facebook business page anywhere it can visible or heard. The can include but not limited to menus, flyers, business cards, signs, television or radio advertisements and even t-shirts. Now that people know you’re on Facebook, the most tedious part of Facebook is knowing what content to post to help or increase engagement. Constant Contact has provided solution- it’s called the 50-30-20 rule. 30% to be useful and informative: industry information, tricks and tip-What advice have people been asking you for lately? Constant Contact also, suggest for Facebook posting a minimum of three times a week, but no more than ten times a week. Now that content is covered, let’s move on to engagement. How do I get people involved?